Not easy to make a meatball look like a star but center staged on the hero at THE MEATBALL SHOP and that’s what you’ve got. Higher dosage seems to be more effective. Order viagra! Our goal is to provide medications at discount rates to everyone who is affected by expensive local prices. Get beyond the confusing menu (too many options and a silly fill-it-in-yourself gimmick) by focusing in on the Hero section. The light misting of olive oil on the Il Forno baguette before oven entry gets you a lightly crisped loaf – the chewy crunchiness was a welcome complement to the soft yet textured meatballs, melted cheese and sauce. On that sauce, the classic (vegetarian) or spicy (enhanced with ground pork and beef) tomato were flavorful but not overpowering. The mozzarella is deliciously old school from a dairy in Pennsylvania and, for those balls, branded meats – Heritage Pork and Creekstone Farms Beef – play to the sustainable and organic-leaning crowds. Big question is why the heck there’s a menu mention for Bell & Evans as the chicken of choice. Makes no sense to the food savvy – even though the balls were good there’s something afoul with that mass market fowl. 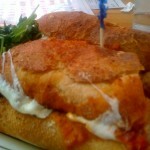 Stick to the classic beef or spicy pork balls, tomato sauce and mozzarella on a white baguette. With the side of arugula salad (peppered with nuts and pear) included you’ve got the perfect meal and, what a deal for only $9. About all those options – why bother with (i) creamy sauces; (ii) provolone; and, (iii) salmon and vegetable balls (don’t want to go there)? I guess not everyone knows how to connect with their inner Italian American. The other categories in the Sandwich section did not fare so well. The $8 Smash (four meatballs on brioche) was unappealing mush at any price as were the $3 Sliders (one meatball on a mini-brioche). A spongy roll and wet balls is not your best gastronomic idea. Take away the bread and your in the Meatball section. Those four balls are oddly lonely in their bowl (there’s a reason why meatballs rarely make it as a solo act) but with lots of sides to choose from at try-me-prices of $4 each its easy to experiment. Of course, we were happy with a pairing to the el-dente pasta. The other starch-minded sides proved to be less exciting and gloppy mates. Market vegetables and salads, while not your first thought with a bowl of meatballs, were well prepared and satisfying on their own. We skipped the dessert – a cookie and ice cream ala-carte create-a-sandwich selection. Why bother, we were stuffed from that mighty hero, a hero to remember. 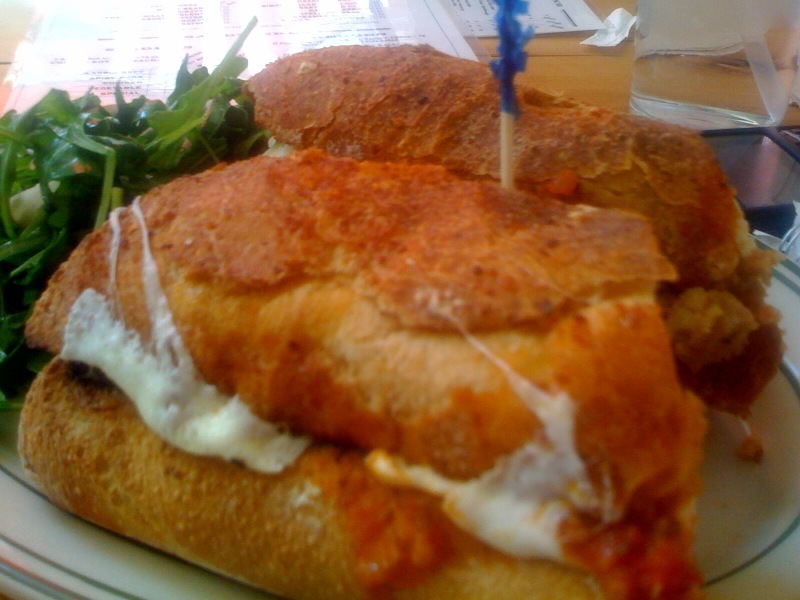 THE MEATBALL SHOP, 84 Stanton Street. No reservations and expect lines at prime and late night weekend hours. Daily 12 pm to 2 a.m.